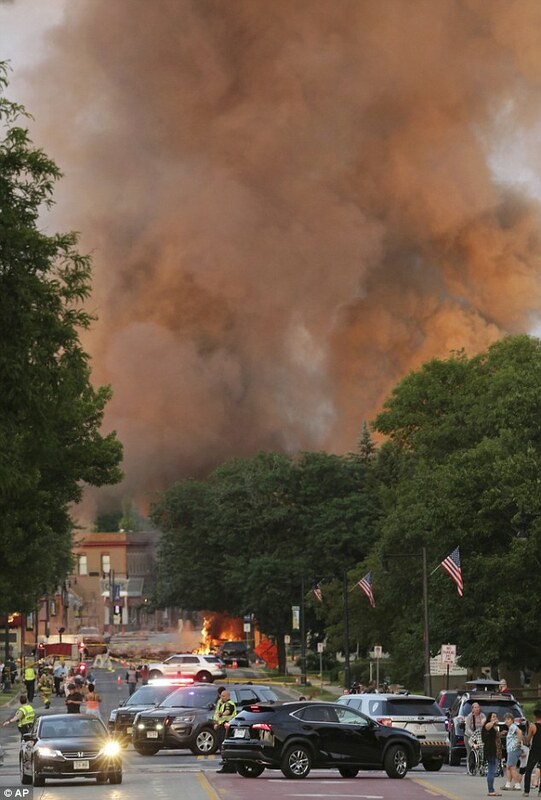 A Wisconsin fire captain was killed and more than a dozen other people, among them first responders, were injured when a natural gas explosion leveled multiple buildings on Tuesday night. 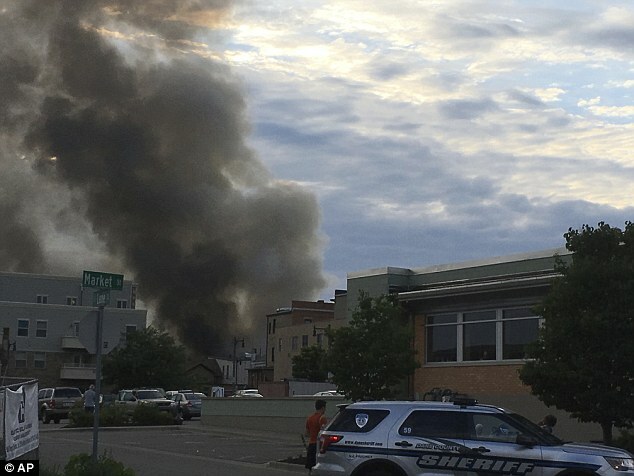 The blast that occurred in Sun Prairie at around 7.15pm ignited a fire that sent billowing smoke that could be seen for miles around. 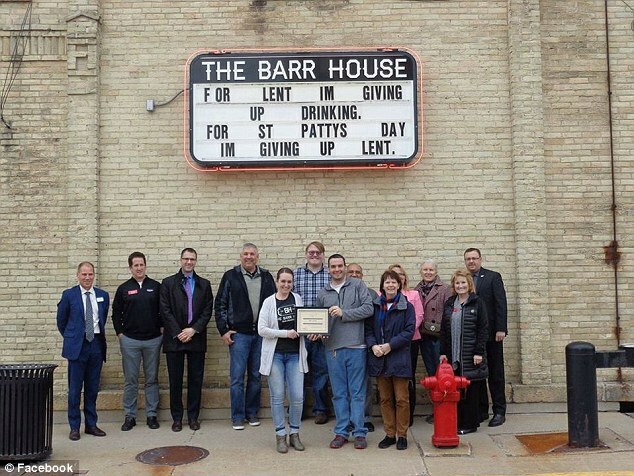 Mahlon Mitchell, president of the Professional Fire Fighters of Wisconsin, on Wednesday identified Capt Cory Barr, a 10-year veteran of the city’s volunteer department, as the firefighter who was killed the night before. 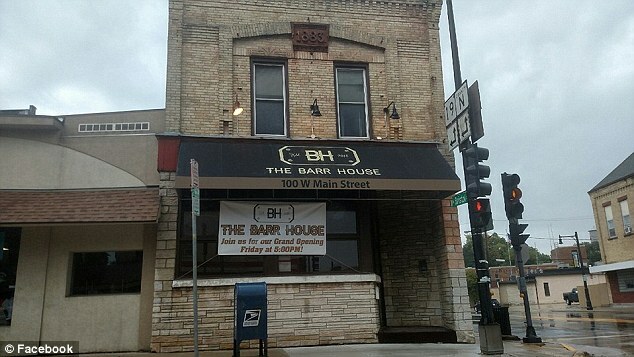 Barr, 34, worked as a real estate agent and was the owner of The Barr House bar in Sun Prairie, which was housed in one of the buildings damaged in the explosion. He opened the drinking establishment in 2016. 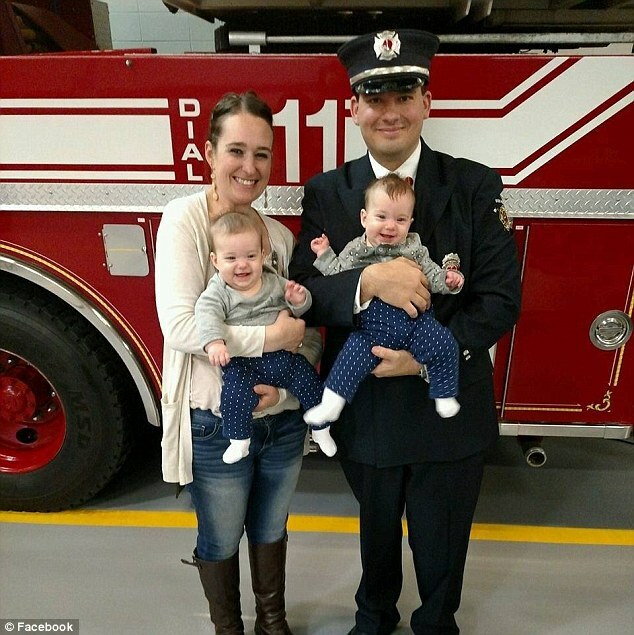 He and wife Abby have twin girls. 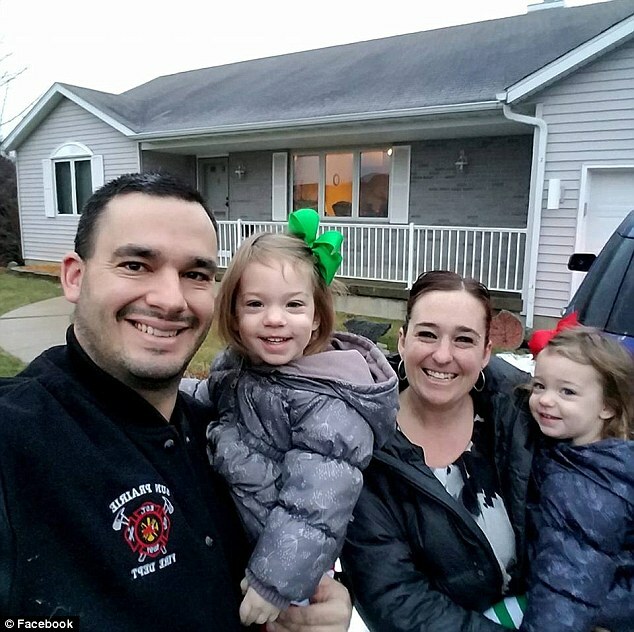 She says he lived his life by the motto ‘happy wife, happy life.’ The couple’s twin girls just turned three. She says the girls would run up to him screaming ‘Daddy’s home!’ whenever he walked through the door. 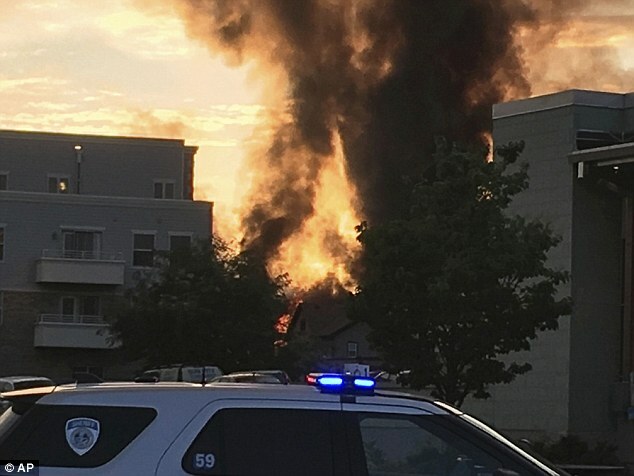 Another firefighter suffered critical injuries in the blast but his condition has been stabilized, according to Sun Prairie Police Lt. Kevin Konopacki. 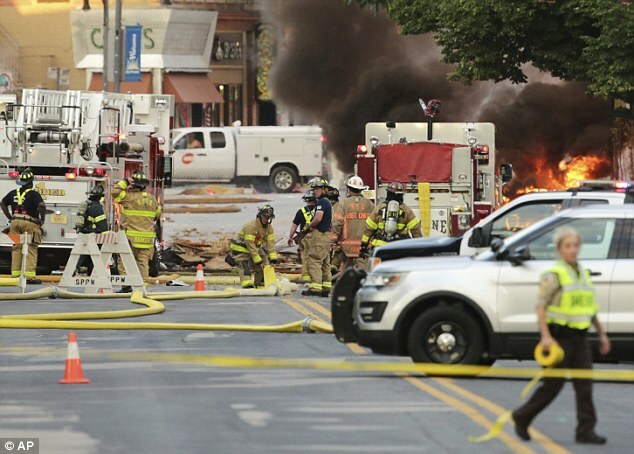 Four other firefighters, a police officer and seven civilians were also hurt. ‘The Sun Prairie Fire Department is strong. We will keep on building from this. 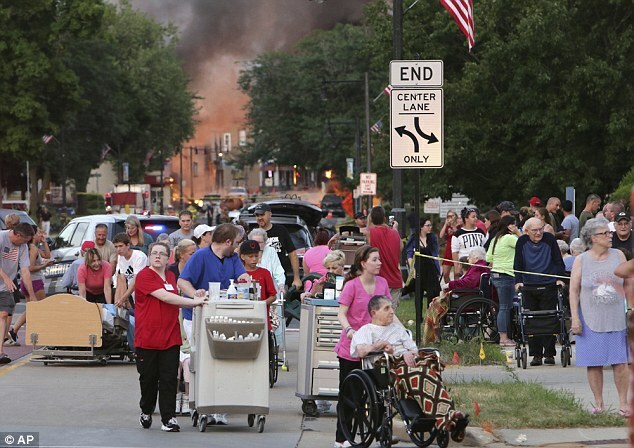 We are hurt, but we will come back,’ Sun Prairie Fire Chief Christopher Garrison said. Konopacki said the firefighters were taken to a hospital while the officer was treated at the scene. 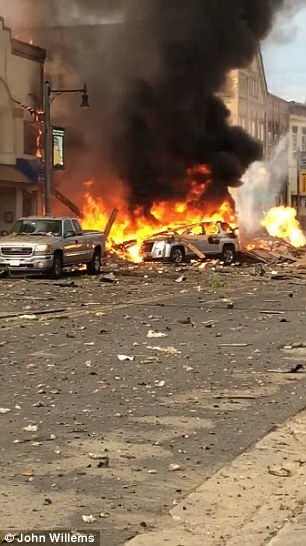 An initial sweep found no new victims in the buildings impacted by the blast. 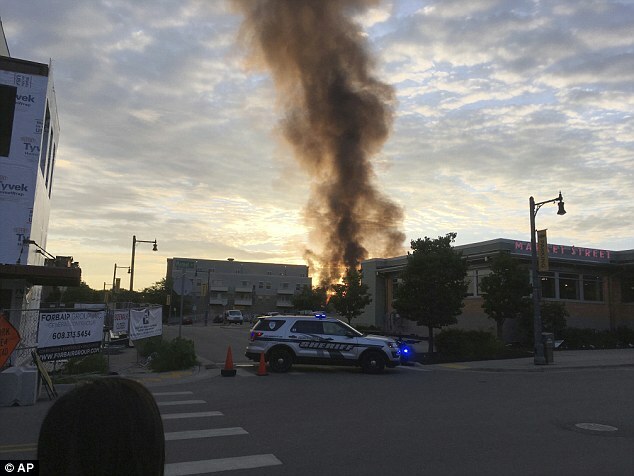 WE Energies spokeswoman Amy Jahns said workers for a private contractor punctured a 4-inch gas main, causing a leak that resulted in the explosion that rained burning debris on downtown Sun Prairie and set vehicles parked nearby on fire. 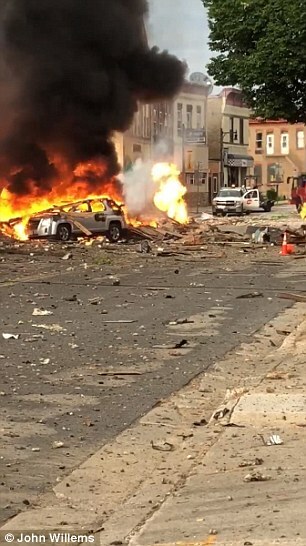 Authorities evacuated buildings within a half-mile adius from the center of the explosion. The Barr House and Glass Nickel Pizza exploded after the gas ignited, police said. The Professional Building, Water Tower Chophouse and a residential home were also damaged. The Red Cross assisted evacuees at a shelter set up at Sun Prairie High School. According to an update from the City of Sun Prairie, about 500 customers were without natural gas as of Wednesday morning. ‘People were scrambling,’ said Owen, who lives above his shop.